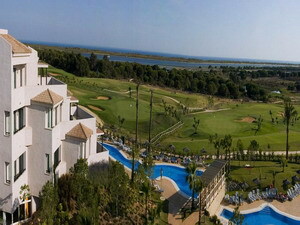 Precise Resort El Rompido - The Club is located in the picturesque resort village of El Pompido, in Cartaya, Spain. 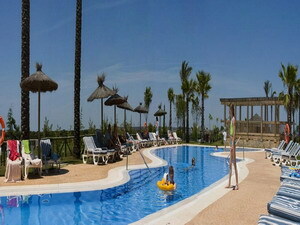 The hotel is within two kilometres of the La Flecha de El Rompido Beach and the Aquopolis Water Park. The city of Huelva is 25 kilometres from the hotel. 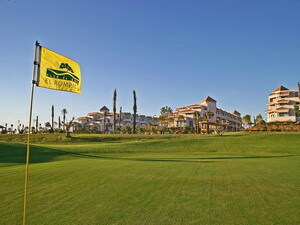 Set amid natural parkland and bordering the golf course, the modern Precise Resort El Rompido - The Club forms part of the El Rompido Golf & Beach Resort. The grounds offer two outdoor pools and facilities for football, basketball and tennis. The resort also incorporates a golf club, complete with two 18-hole courses and a driving range. A supermarket provides essential supplies. 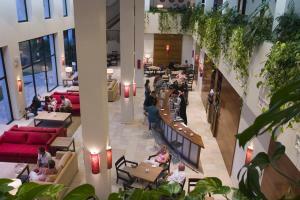 Further Amenities include laundry facilities and complimentary onsite parking. 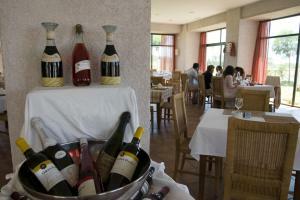 The Precise Resort El Rompido - The Club houses an informal, buffet restaurant, Atalis, which offers international dishes and is open for breakfast and dinner. Light snacks are served at the El Lago Poolside Cafe and the hotel's two bars offer cocktails. 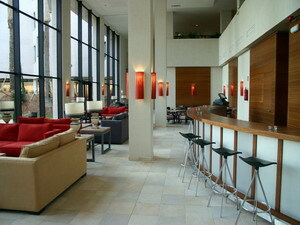 The Pinxo Miniclub is open from May to October and offers supervised children's activities. 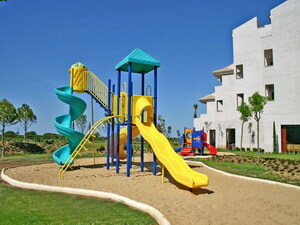 The resort also offers a kids' pool and playground. Bicycles can be hired on site. The Precise Resort El Rompido - The Club's 305 apartments feature contemporary decor in neutral tones and extend to terraces or balconies. 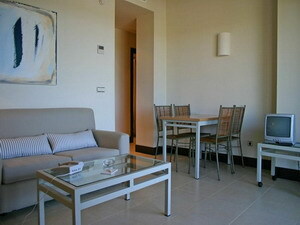 All incorporate living rooms and kitchens or kitchenettes with refrigerators and tea/coffee-making facilities. Amenities include high-speed internet connections, satellite television and bathrooms with showers and tubs. 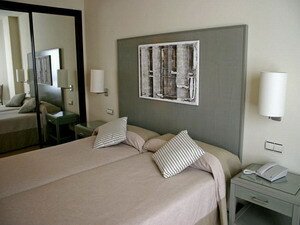 The apartments are stylishly decorated and furnished in cool, neutral colors with contemporary furniture and modern art. One and two bedroom apartments feature a living and dining area, balcony, private bathroom, and kitchenette with refrigerator and dishes. Other amenities for guests' convenience include air conditioning, satellite television, direct-dial telephone, in-room safe, and complimentary toiletries. Expert Tip: Huelva, 25 kilometres from the hotel, is a popular tourist destination and is noted for its association with Christopher Columbus, who recruited soldiers from the town for his American expedition. Further highlights include the Baroque splendour of Cathedral de la Merced and the palm-lined square Plaza de Las Monjas.